Short on space? 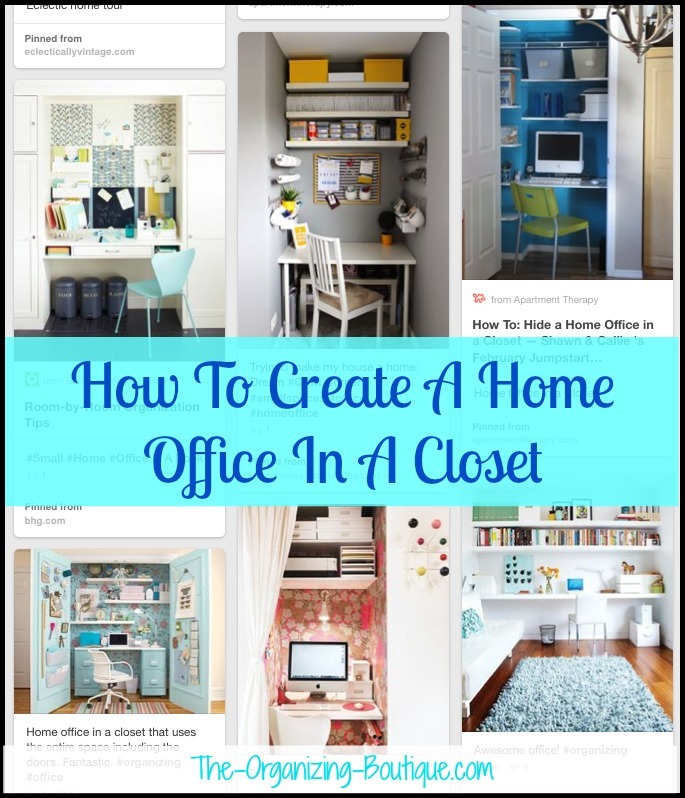 Create a home office in a closet that looks so cool it knocks people's socks right off! You don't need to dedicate an entire room to your work space. All you need is a nook or corner or a closet, and you're set. Here's some office space decorating and office organization ideas to get you started. The key to making a tiny home office manageable is using the vertical space...and using all of it. For instance, you could install shelves that go up to the ceiling to hold office storage boxes, books, and binders. You could use the wall space to hang a cork board or white board for inspiration and planning. You could use the vertical real estate to hang wall files or a magnetic strip or anything you can think of. The bottom line is to use every inch of wall space to your organizational and/or decorating advantage. 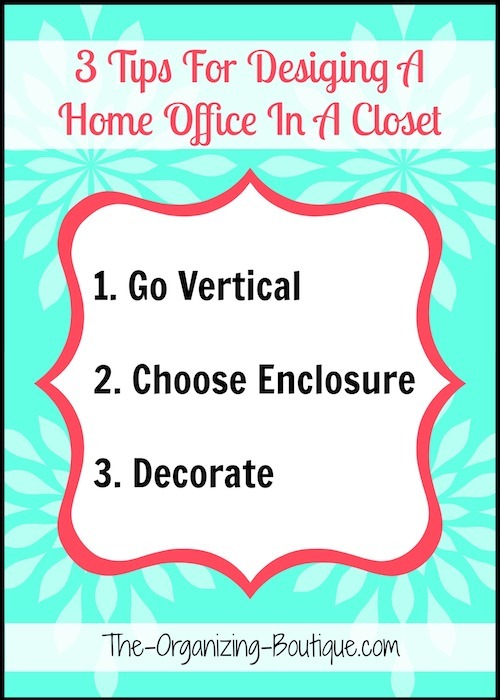 Depending on the closet door situation, I have 2 suggestions for properly enclosing your home office nook. First, if the door(s) is necessary than use that space to your benefit. For example, the inside of the door is a great place to install flat stuff like a cork board, a white board, a peg board, a magnetic board, wall pockets and so on. Second, if the door is not necessary, consider removing it completely and replacing it with a curtain. This is a great way to enclose your tiny home office and contribute to the room's decor at the same time. Just because it is a teensy weensy little space doesn't mean the decor should be overlooked. Decorating a home office makes it more comfortable and therefore encourages more productivity. First, I would spiff up the walls of your closet home office. You could paint them, create an accent wall using decals or wallpaper or both. Second, get creative with the accessories. Use colorful office storage boxes or a pretty lamp or a comfortable chair or anything that will make it feel inspiring and more like home. Want to get some visual inspiration? See what these home office decoration ideas look like in action; check out this Pinterest board.